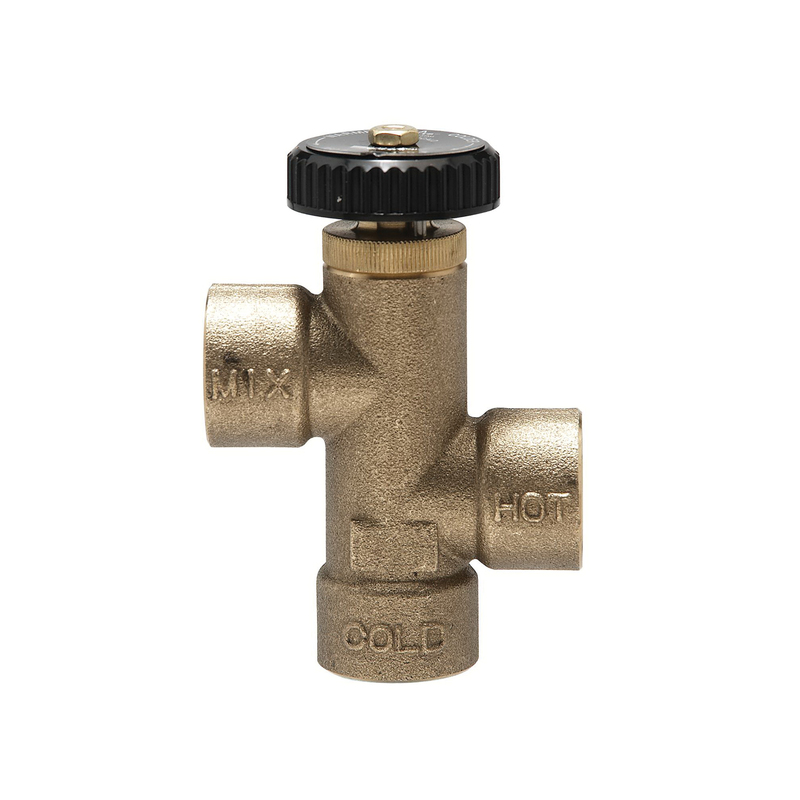 This 1/2 in hot water extender tempering valve is designed for domestic water supply systems and recommended for tankless heater, water heater and solar applications installed at or near the boiler or hot water heater. It consists of a lead free brass body, threaded connections, thermostat, stainless steel springs and dial adjustment cap. The hydraulically operated thermostat opens a spring loaded check in the cold water inlet which allows cold and hot water to mix and can be replaced as a unit. The temperature range is 120 to 160 deg F.